“My story,” says Tidus. “My ears,” I reply. 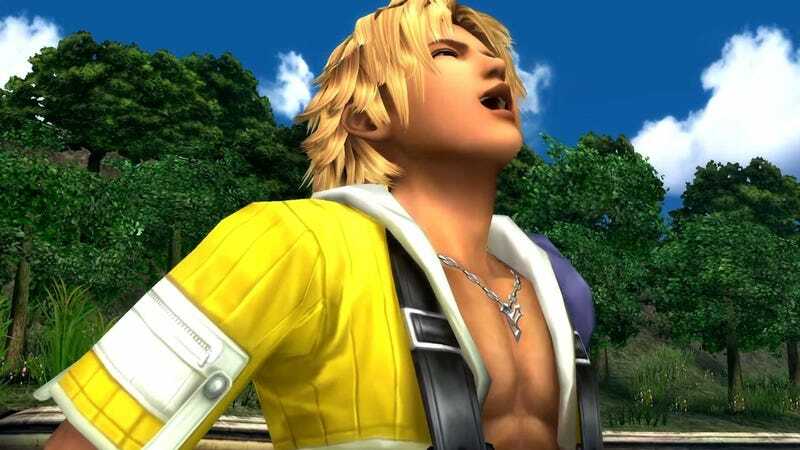 Now try to hear the game’s main theme in your head without Tidus’ laugh. If you can manage it for even a single, solitary second, please for the love of god, HELP ME. Mac also uploaded the entire soundtrack with Tidus’ pitch-corrected howl flitting through it, and you can listen to it straight through if you’re in the mood for a masochistic endurance run. Note: this video is three-and-a-half hours long. You can download the mod (for use with the PC version of Final Fantasy X) here. I am deeply, deeply sorry. I know they say not to shoot the messenger, but maybe... maybe I deserve it this time?